The frame provides the necessary structural strength to support all the moving mechanical components of a tractor; whether it be to support and guard a rotating shaft, or reduce engine vibrations, etc. The goal for the frame section is for all the pieces to hold together–without the frame, the tractor would be just a bunch of naked parts lying on the ground. It is very important for the frame section to have a good idea where everything on the tractor will be placed. 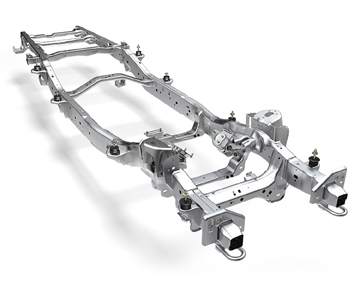 The frame section works closely with the drive-train, steering, brakes, body & ergonomics, ballast, and electrical sections in order to achieve their goals.